New York, Dec 1 (IANS) Four men of Indian descent have been charged in a $3.5 million-fraud in which they pretended to be tax officials and collected money by allegedly threatening over 7,300 people, a federal prosecutor has announced. Gregory J. Haanstad, the Wisconsin Eastern District prosecutor, on Thursday said the scheme was “likely originating from India”. Moin Gohil of Dunwoody, Georgia (age: 22), was arrested by local law enforcement authorities on November 24, 2017. Pratik Patel of Hoffman Estates, Illinois (age: 26), Parvez Jiwani of Tucker, Georgia (age: 39), and Nakul Chetiwal of Dunwoody, Georgia (age: 27), were arrested on November 28, 2017 by federal law enforcement authorities. All of these arrests were based on charges of violations of Title 18, United States Code, Sections 1343, 1349, 2 (Wire Fraud, Conspiracy to Commit Wire Fraud, and Aiding and Abetting). Each of these charges carries a maximum of 20 years imprisonment and a $250,000 fine. 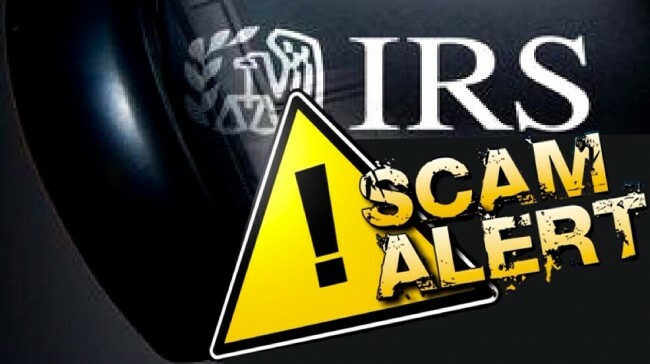 According to the prosecutor, their fraud is known as an “IRS impersonation scheme”. Participants in the scheme based “likely in India” call victims in the US pretending to be officials of the federal tax agency, the Internal Revenue Service (IRS), and typically claim they owe taxes. They then threaten and intimidate the victims saying they would face arrest or legal action if they did not send money through services like MoneyGram and Western Union or provide gift cards with cash value. Members based in the US, who are known as “runners” use fake identification to pick up the money or the cards. Haanstad said that Gohil, Chetiwal and Jiwani, who were allegedly “runners” picked up $666,537 sent from 784 victims between January 25, 2016 and August 8, 2017. In addition, the false IDs used by them are linked to 6,530 other fraudulent transactions totaling $2.83 million, he added. Patel “aided and abetted” at least one of the runners, he said. They have been charged with three offenses — wire fraud (which is using electronic communication to commit fraud), conspiracy and aiding and abetting crimes. They could face a maximum prison term of 20 years and $250,000 fine for each of the crimes if found guilty. Frauds like these are widely prevalent and have tarnished the reputation of India and Indians through their calls. In November, US authorities busted an Ahmedabad-based operation which defrauded residents of at least $25 million. Five men, who were arrested in the US, admitted their guilt in federal courts in Texas and Arizona and were awaiting sentencing. In that case, 53 people in India were also charged. The alleged mastermind of the call centre used in the operation, Sagar “Shaggy” Thakkar, had been arrested in Mumbai in April. I, too, got a few calls from these fraudsters; but, I hung up once saying that I would directly deal with the IRS.